This week we discuss why women should be thinking about birth control while they’re pregnant, what kinds of birth control we can use postpartum, and the methods and timing of those options. Also, our group text kept autocorrrecting postpartum to post-party and we kind of like that. About us: Dr. Katee Verhoef and Dr. Corbin Weaver received their MDs from the University of Iowa Carver College of Medicine. Katee practices in South Carolina, and Corbin practices in Texas. They met their 'podfather' Dave Etler in during med school, where he produces The Short Coat Podcast. The Vagibonds crave your feedback and questions. Send them to thevagibondspodcast@gmail.com. 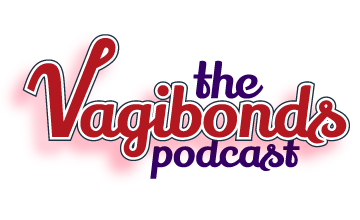 Ask your doctor about any of the topics discussed on The Vagibonds Podcast. Nothing The Vagibonds say should be construed as medical advice, and they speak for no entity save themselves.